Taipei, Oct. 4 (CNA) A delegation of Vatican officials will visit Taiwan later this month for a joint seminar with Fo Guang Shan, the largest buddhist monastery in the country, the Ministry of Foreign Affairs (MOFA) said Thursday. The Pontifical Council for Interreligious Dialogue (PCID) and the monastery will hold an international Christian-Buddhist symposium in Kaohsiung, deputy head of MOFA's European Affairs Department Chen Hsing-hsing (陳欣新) said. Some 60 participants from 16 countries will attend the seminar to promote mutual understanding between the two religions, Chen said. They will include the secretary and undersecretary of the PCID Msgr. Miguel Angel Ayuso Guixot and Msgr. Indunil J. Kodithuwakku K., Chen said. Father Bruno Ciceri, international director of the Apostleship of the Sea at the Holy See's Dicastery for Promoting Integral Human Development, and Father Frédéric Fornos, international director of the Pope's Worldwide Prayer Network and Eucharist Youth Movement, will also be among the distinguished guests at the event, Chen said. Based on the universal values of peace, freedom, equality and altruism, Taiwan will remain an indispensable partner of the Holy See in promoting peace and freedom of religion around the world, she said. 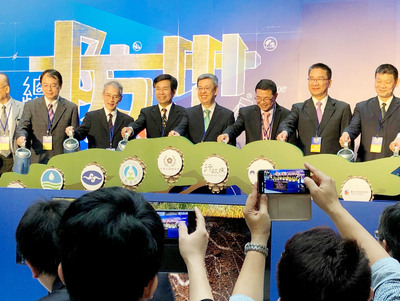 The seminar, scheduled for Oct. 13-20, will be the third such interreligious event to be held in Taiwan, following the 24th World Congress of the Apostleship of the Sea and the sixth Buddhist-Christian Colloquium Review, which both took place last year, according to the foreign ministry.